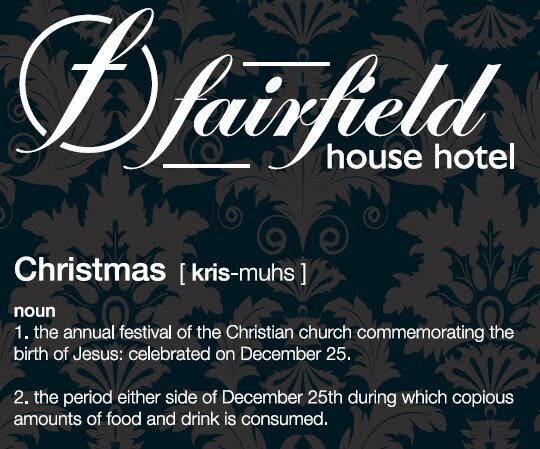 Fairfield House Hotel in Ayr are a long standing client of ours using our website services and Bookassist for their online reservations. We're just planning out a new social media campaign with them currently which will lead to an improved on-line presence through the use of Blogs, Facebook and email marketing as well as a refreshing of their website for 2011. In the meantime the website remains live and performing wonderfully well with a high level of on-line bookings being converted through the site. The hotel is well known for its creative festive programmes and it has just taken delivery of the 2010 Festive Brochure. 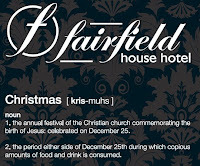 You can download a copy of the programme from the Fairfield House Hotel website. Find out more about how The Edge could help your hotel market online.